Teatro Palladium, in the heart of the Garbatella neighborhood, returned to the scene in 2003 thanks to Roma Tre University. 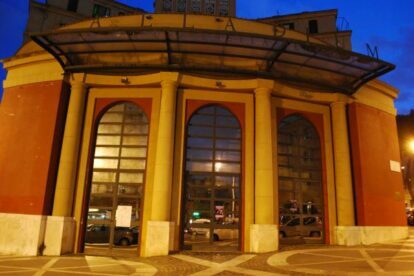 This impressive building is more than eighty years old and is getting the youngest time of all the time because the students of Roma Tre are involved in the planning of events. The students have changed the old concept of theatre and have transformed Teatro Palladium in a space where all art forms live together. Whenever I check the programme, I find all sorts of different events included, such as independent movies, concerts and international festivals. My favorite festival, Roma Europa Festival, is in autumn and it’s really at the forefront of contemporary art sentiments. I love this spot because most of the events are either free to enter or the price is up to you – Roma Tre University sees in this place a cultural power for the community, underlined by the several art workshops they have year-round.